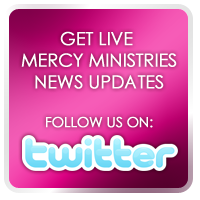 Mercy Ministries News: Mercy in the News! BRENTWOOD — Organizers are putting out one final push to get people registered for the second annual Run for Mercy. The 5K event raises money for Mercy Ministries, a faith-based program that helps women ages 13-28 break free from addictions, abuse, eating disorders and depression and offers help with unplanned pregnancies. They do so by offering the program, free of charge, at their live-in Brentwood campus. So far, 848 have registered for Run for Mercy, which will be Saturday in Shelby Park in Nashville. The registration fee is $25 and final registration will begin at 8 a.m. Saturday with the race set to begin at 9 a.m. The run will be a family-friendly event with activities for kids, such as bounce houses, face painting, Ozzie from the Nashville Sounds and the mascot cow from Chick-fil-A. Goody bags, bread sticks from Fazoli's restaurant, tickets to Nashville Predators games and the Nashville Zoo will also be given away. There also will be live music from David Ask. "The only reason girls can come to our program is because it's free. You're not just paying a registration fee. You're saving someone's life. It's another example of how, when many people come together, they can make a difference," said Whitney Nall, spokeswoman for Mercy Ministries. In the first few months of registration, the number of participants outgrew last year's event by nearly 200, forcing organizers to move the run to Shelby Bottoms Park, a larger venue. That's good news for the program. Also, one of the bigger draws is the introduction of chip timing, a request from avid runners. The chips, worn by each participant, offer the most accurate race results. Awards will be given for each age group. Run for Mercy raised $35,000 last year. Due to the large response, they raised the goal this year to $60,000. They've raised $52,982. It is the second-largest fundraiser, next to the program's annual Merry Mercy Christmas benefit, which will be Dec. 10 at Loews Vanderbilt Hotel in Nashville. Tickets for that event are $125. For more information, call Heather Robinson at 615-831-6987. Contact Harriet Vaughan at 615-771-5415 or hvaughan@tennessean.com.